I went to IKEA yesterday, and I admit that part of my motivation was the hour of free childcare in their Smaland play area. Even though the thought of the germs inside the ball pit skeeves me out, my daughter loves it and I couldn’t resist the chance for some kid-free speed shopping. But as is the case with all IKEA trips, what began with excitement and opportunity, ended with me sweating, stressed and desperately searching for that freaking exit that is so hard to find. Like a rat in a maze. Trip highlight – these Ribba picture frames. I’m itching to create a photo wall in our house and just ordered a bunch of Pottery Barn wood frames for it. But I’d been feeling guilty about the purchase since we have no cash to spare these days, so I’m stoked that the IKEA frames look just as nice and are only $5 vs. $20. Score! I’m skeptical. Particularly because I know my skills in this area. 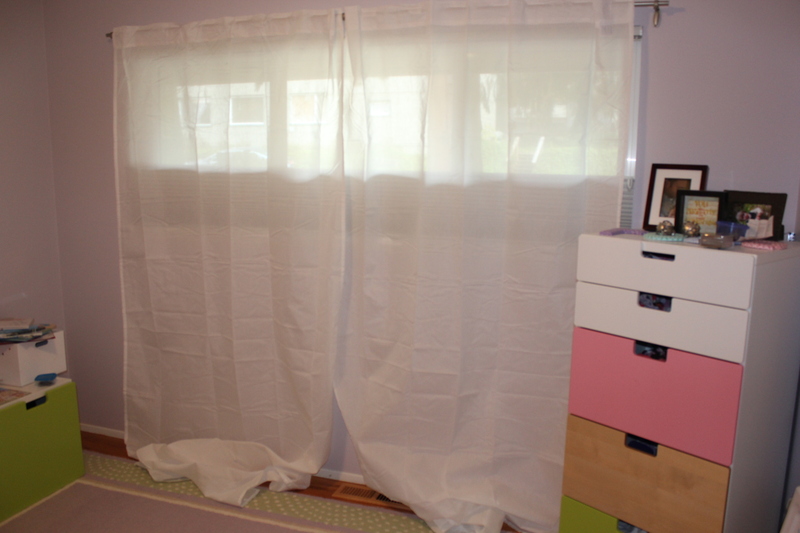 But I previously paid a tailor $30 per panel to hem curtains, which made me ill even when I was making an income, so I know this is not something I can outsource. I also know it isn’t very complicated, which is why it will bother me greatly if I jack it up somehow. 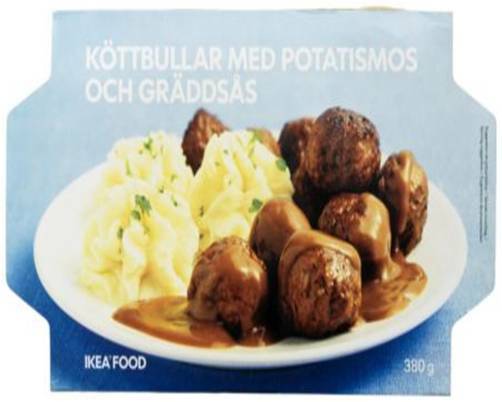 Trip lowlight – apparently IKEA will not sell its meatballs without the cream sauce on top. WTF?! Given my inability to eat dairy, and the hunger that accompanied my aforementioned state of stress at the end of the trip, this was a major disappointment when I tried to get a $1 cup of meatballs at the cafe by the exit. Thankfully I bought a bag of frozen meatballs so I could enjoy them at home instead. After microwaving a bowl for lunch today, I think now I understand why they won’t sell them without the sauce. Meh.